Charisma is a common quality shared within the world of peak performers and self motivated individuals. Have you ever been in a room full of people where one person radiates his or her personality over all the others? It’s almost like they just glow in the dark. That is charisma and one of the greatest assets any businessperson or personality can have. It is something that you may be lucky enough to have naturally already or (and this is more likely) something you will have to put in a great deal of work to achieve. But one thing is certain – once you acquire charisma or an irresistible charm, you will realize the magic it contains. It has the power to open doors, create opportunities and help you to meet people you never before thought possible. Once you begin to develop it you are will be on your way, propelled towards your personal success and prosperity. Charismatic characters are always very popular and in great demand. You may have already looked at such a person and wondered, ‘what on earth do people see in him/her?’ The answer clearly is they have the magic quality of charisma. It has little to do with looks or physique. Indeed many charismatic characters have less than appealing appearances, and yet are ‘attractive’. Their company is always sought and they are never short of introductions into any field. Whilst some people are blessed with a natural charisma, the majority make their way through life without it, many unaware such qualities exist. True, if you have never had it you can’t miss it! But when you become aware of the influence a charismatic personality can have on your life you are truly going to want it. However, simply understanding what an enormous difference it can make to your life will do little in developing the quality within yourself. Yes, it can be created and self generated very successfully. In my therapy practice I have watched and helped a large number of ‘ordinary’ people become ‘extraordinary’ simply as the result of focusing on this simple yet powerful technique. 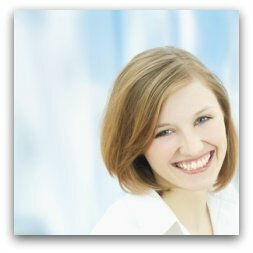 As with many of the ideas and techniques we use within the pages of true-motivaton.com, they are very simple, yet effective. In our one-on-one therapy/coaching sessions they are a standard part of producing a dynamic and successful personality. Many peak performers remain reluctant to reveal these most personal secrets to others. Of course their personal image, and their ego, want to project them as a natural cut above the rest. And that is perfectly okay. If you accept, as many do, that those charismatic qualities are ‘in born’ then they will be … and you will exclude yourself from the experience. But if you take heed of these words and resolve to develop charisma for yourself, then it will be ‘you’ who has that magnetic personality that shines above the rest. It is important to know that everyone who walks the face of our planet, whether they know it or not, subconsciously responds to, and are drawn to love, warmth and affection. This occurs most often without even being aware of it. It is a fundamental and natural instinct of a human being. I’m sure everyone has noticed that when you are feeling on top of your game you draw attention to yourself. Others feel those loving and affectionate vibrations and are drawn to it. That is the very basis of creating charisma, and once you can really understand and believe this simple truth you will have at your disposal a magical tool. But to really have maximum effective in our lives we must be able to create and access it on purpose when ever and where ever required. Here is how to begin developing the tool that creates charisma. I call it the Magic Ring of Confidence because that is exactly what it is … magic. If you feel like having a good laugh at the thought of such an outrageous idea, go ahead and let’s get the laughs and disbeliefs out of the way. But now with both feet firmly on the ground and as pragmatically as you can, give it a try. No one in the world can know what you are doing because it all done in ‘your’ mind. Yet everyone will respond to it, believe me. Sit quietly, close your eyes and relax for a few minutes. Then when you are feeling calm and centered imagine yourself at the center of a white ring of light. Remember that only you are aware of it because it is only in your imagination. Continue to create your own person ring of warmth, love and affection. Work at it until you can clearly perceive this beautiful white ring of warmth, love and affection. Fill it as full as your imagination can manage. For the moment just around yourself alone, it will make you feel good and will radiate out its attraction in all directions. You can’t stop it. Remember, you are the only one who has any idea what is happening. To begin with, just get use to placing it around yourself and holding it there. Become familiar with it. As you go about your normal day visualize your Magic Ring of Confidence around you, full of warmth, love and affection. Allow it to just radiating out and touch anyone and everyone in its path. Just watch how differently people start responding to you. T here is nothing else to do, just let your charismatic aura of love and warmth flow out. If you want to focus or embrace one particular person, visualize your Magic Ring around their shoulders as well as your own and watch their response. Remember, everyone is innately attracted to a genuine warmth, love and affection so be sure that is what your Magic Ring contains. Then just watch the results. I can assure you it will really give you the edge. We invite you to contact us and share your results. See Which Way Now for more.